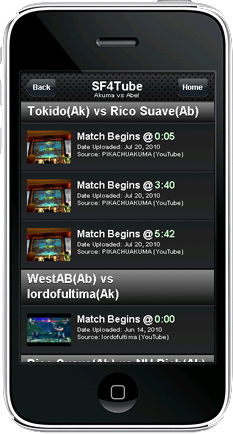 The mobile site should work on any mobile device that is YouTube-capable. 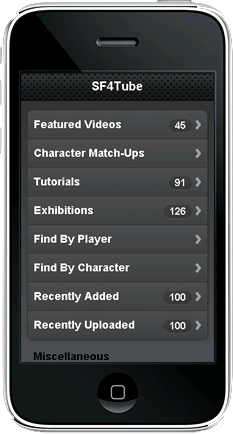 It was specifically designed for use on your iPhone, iPod Touch, or any Android device. It will even work on Apple's iPad. The screen shots above represent the ideal mobile viewing experience. 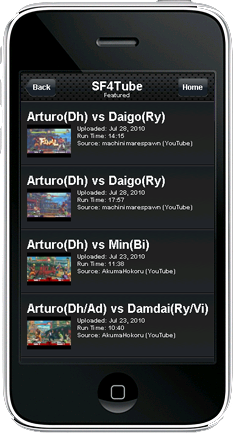 Depending on what mobile device you use to access SF4Tube, your experience may differ slightly.